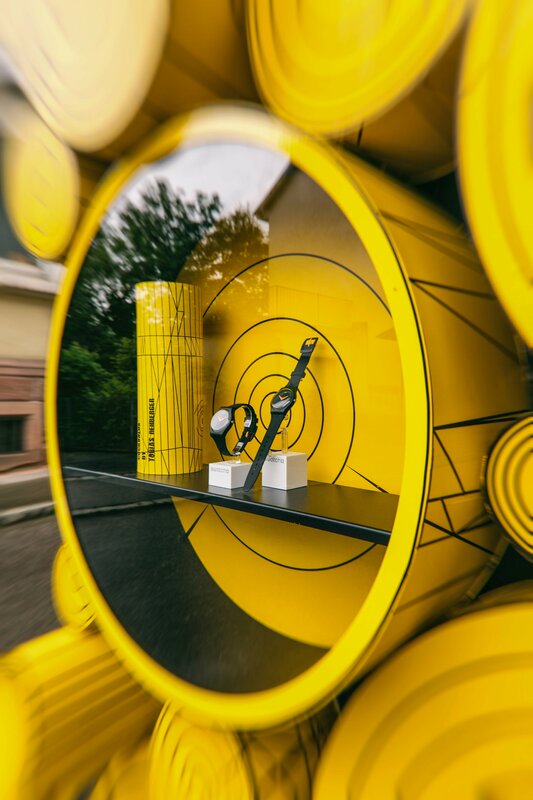 Swatch has always been an active art lover and as presenting partner of «24 Stops» was proud to offer a watch and special packaging as a canvas for Tobias Rehberger’s creativity. The result, CUCKOOLUS, has two hands of the same size, leaving the wearer to contemplate which of the two possible times of day is most likely. 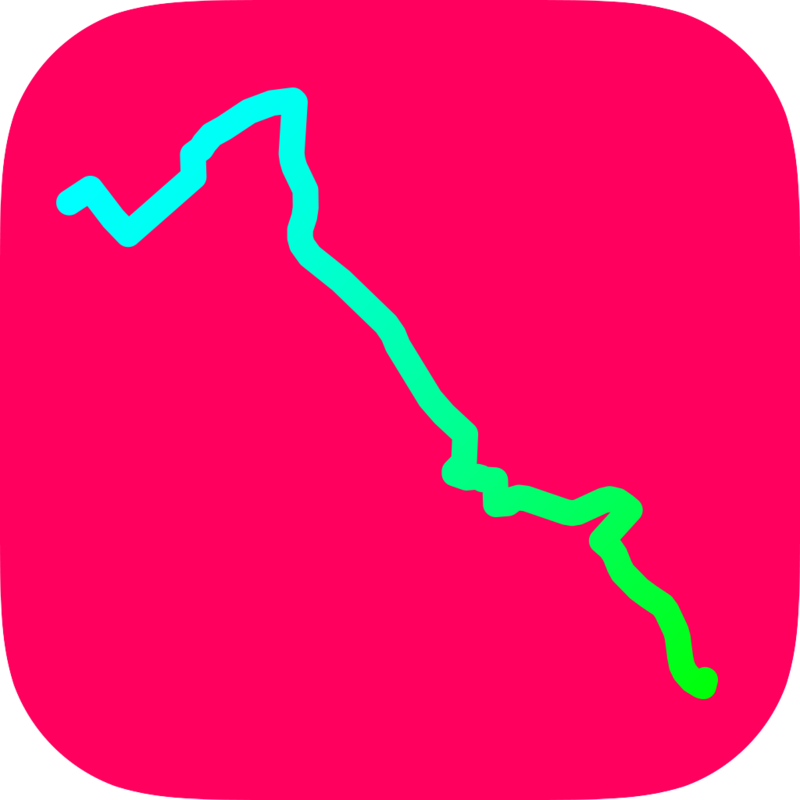 This playfully mirrors the theme of the borderless cross-border walk with the notion that it’s realistic to have the upper hand on time. The Swatch Art Special comes in a limited edition of 4,962 pieces, one for each meter of the path’s length. 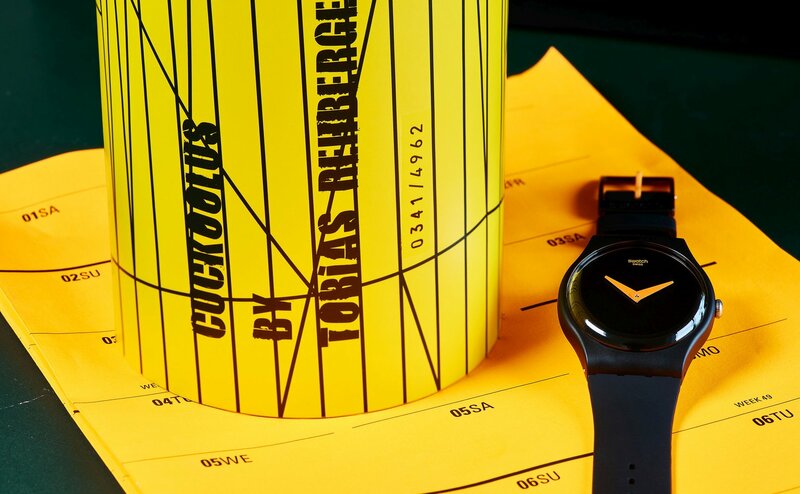 Special packaging adds to the watch’s «cuckoo» status by emitting its namesake’s song on opening. 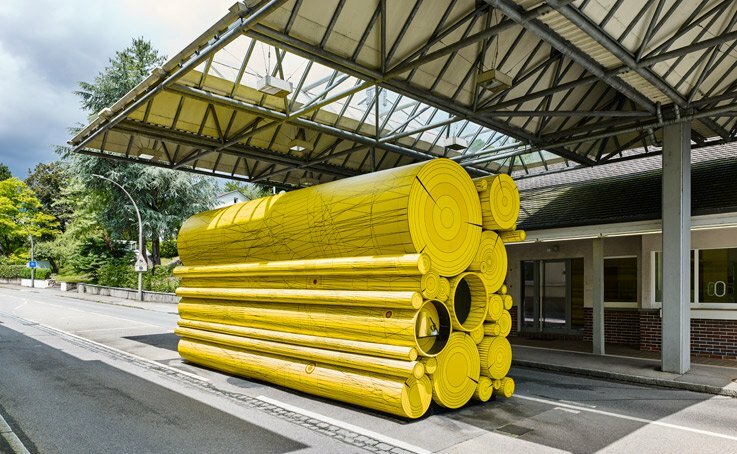 It was on sale exclusively at the temporary 25th stop on the trail – a customs house disguised as a pile of logs and called the «Cuckoolus Nest» – from 12 to 22 June 2016. After this it flew the nest and headed for the Swatch international retail network. The watch is available to buy from the Fondation Beyeler Art Shop as well as from the Vitra Design Museum Shop. Cuckoolus is also be available from selected Swatch stores. 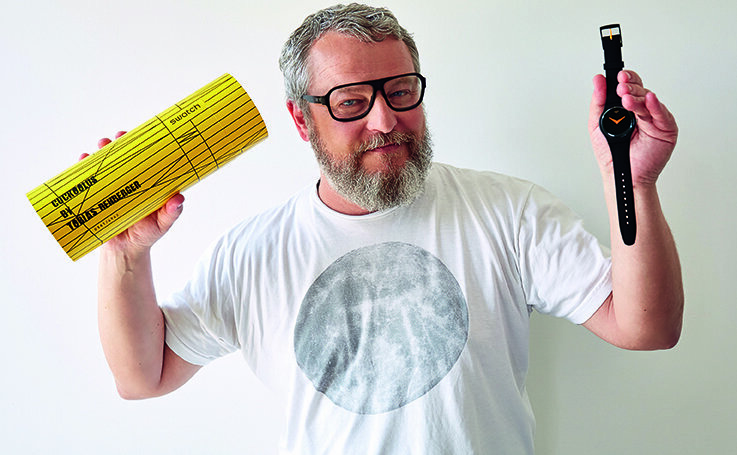 The Swatch Creative Director talks about the «24 Stops».